Home|Blogging|You're making my ears bleed! Yesterday I happened to be following a mum around Tesco who was more than past the end of her tether – now there is no judging here from me.. I have been there..numerous times – who hasn’t? But it really stopped me in my tracks. A simple question ‘Mum can we get pink apples instead of green’ was met with the most hostile, snappy & aggressive response from this exasperated mum – I don’t even know what words she used but it was enough to knock the wind out of my pipes. Seeing that little girls face totally bewildered by what she had done wrong just about reduced me to tears. Who knows what kind of day this poor Mummy was having, obviously a pretty awful one to reduce her to speaking to her daughter in such a hostile way. It really made me think about all the times I have snapped at Mini Meldrum – I’m not a yeller but I am a nagger…some days it feels like it’s all I do as she is currently in the middle of the blatantly ignoring me/questioning everything phase. I am a firm believer of being consistent… but some days it literally takes all my strength to stop the nagging and be the fun mummy that I know Safiyah loves spending time with – more than that though..it’s the fun mummy that Safiyah responds well to & is more than happy to do as I ask of her. Safiyah is a pretty well behaved 2 year old in the grand scheme of things – she has her moments – usually when she is over tired or in unusual surroundings and the silliness starts. The thing I find most difficult about S is how switched on she is… many toddler’s I know just mull along and do as they are told, with zero questions/backchat or confrontation. Safiyah is beyond this level of command taking she want’s to know Why, When for How long and various other details she finds imperative to her decision making… all of these take some explaining (when done properly) & when these questions are asked an uncountable amount of times a day it leads to one pretty exhausted mummy. 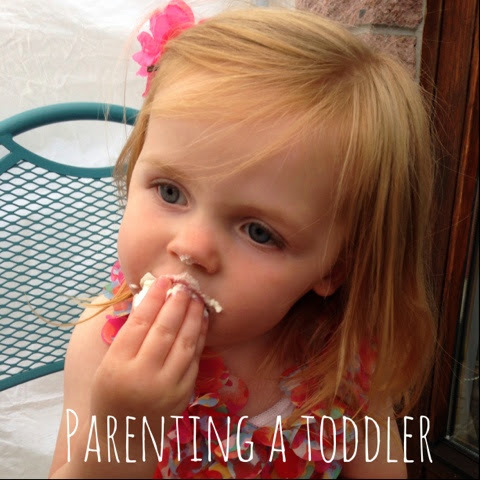 I feel embarrassed to admit it but I have found myself envying those mums of quiet toddlers. I sometimes wish S would be that compliant, complacent toddler that does as she’s asked first time… I’m embarrassed because why on earth would I wish my confident, inquisitive, bright spirited, energetic, quirky and damn right hilarious story telling toddler to be passive and ultimately – dare I say it – kind of boring. I have now made a pact with myself to try and improve the way I communicate with S “because I said so” wouldn’t be a good enough reason for me to do something so why should S just accept it as a given and do something because her mummy said so… being totally honest I think I am going to find it hard..very hard, but it is one area of my parenting I would really like to work on so I’m going to give it my all. BiB Awards 2015 – Shortlisted!! They certainly test our patience don't they! I think planning to do something with them helps, and going out for a bike ride or walk to see the ducks gives you both space and let off some of that energy! giving them something fun to do while you have to the tidying up I found useful or jobs take longer to do. I always try to not to nag but sometimes it can be soo hard! Especially when they ask something over and over and not really listen to your answer. With our son when he gets tired he can be very teary and over dramatic at little things, i think dealing with those moments are the hardest. He's four now and it's getting easier the more he understands!